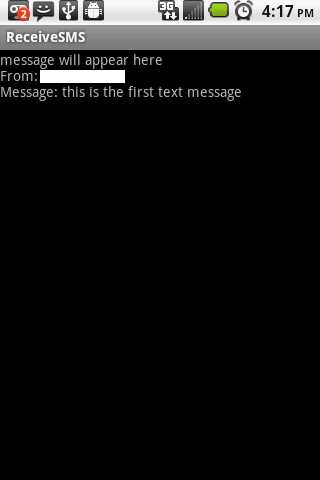 In this post I will teach to make app that can receive a text message, you will be able to obtain the sending number and message to do with it as you please, in this app we will simply display the information as shown in the images below. 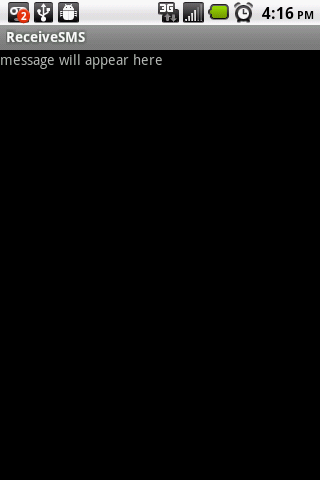 the application after receiving two text messages. The numbers were covered with a white box. This java class in charge of listening for new text messages and processing them. 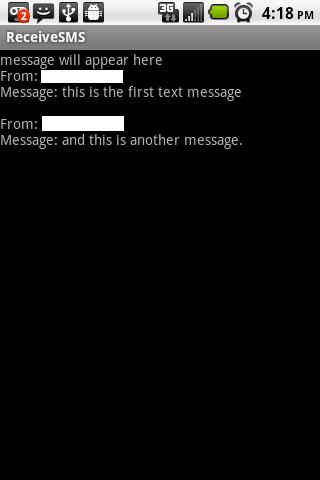 The only GUI is a text view, this is where the new messages appear.